Architectural Engineering is commonly known as building engineering that focuses on the concept of technology and engineering principle for planning, designing, and manufacturing of large scale buildings and construction projects to carry out or to minimize the cost effectiveness and generate high quality output. The Architectural Engineers regulate and maintain the complete process from designing on a plain paper to the on-site development of the construction project. The candidates who are looking for the career guidance in architecture are advised to undergo the complete Career prospective, future Scope, Job Opportunities and earning sources after completing the bachelor degree in Architectural Engineering. Architectural engineering programs not only require a brilliant mind in geometry, calculus, and physics but also require an innovative personality with an artistic vision in building construction process. An architectural engineer calculates and manipulates the prototypes developed by experts for the construction of buildings or infrastructures.The main focus of an Architectural Engineer is on the manual communication that ensures efficiency, safety standards and cost effectiveness while planning for any on-site constructive works. The candidates who have completed the bachelor degree in Architecture play a great role in construction planning and designing by using the principle of engineering and technical concepts. 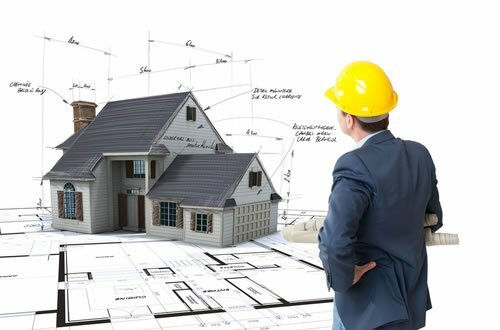 The complete process from the rough layout on a paper to the accomplishment of physical construction of building comes under the responsibility of architectural engineer. The basic salary after completing the bachelor degree in architectural engineering lies in the range from 2.8~4.2 Lakh INR per annum. The increase in the pay scale of an architecture engineer depends on the work experience and technical skills that are owned by the candidate. Architectural engineers are specialists that look for the technical aspects of the architectural layout including the resilience of buildings, structural integrity and health & comfort of those who occupy these buildings. The complete responsibilities including the paper plan to the overall technical prospective are regulated by the Architectural engineers. Architectural engineering correlates the designing principles and engineering concepts to construct cost effective, usable, long lasting, and deeply rooted buildings. Architectural engineers use the conceptual mathematics, Problem solving Science on a plain paper and then these plans and designs are brought to actual human practice after the acceptance of experts. They usually deal with the on-site construction projects like pools, bridges, buildings, dams etc. with a special team of other architects, engineers and construction workers. For any type of assistance, while opting for the architecture as career stream, you can contact our professionals by leaving your comment at the end of the post for technical advice regarding your queries.